Who needs a motivational coach? Who do you turn to when you need support in life? Who can you talk to about what you’re going through, and truly expect to receive an objective opinion? No matter where you are in life, turning to others for advice is not only beneficial, but necessary. Whether you’re trying to improve your personal, professional or financial life, a motivational coach can give you the strategies and support you need to succeed. What is a motivational coach? A motivational coach is someone who helps you work through problems in life and offers their encouragement along the way. That’s not to say that a motivational coach is someone who blindly offers their support 100% of the time. A quality coach doesn’t just throw meaningless affirmations at you – they offer objective advice on how to improve your situation and will help you strike a balance between where you currently are and where you want to be. These are a few things that a motivational coach can help you with. Assessing your situation: Where are you at currently, and where do you want to be? Sometimes it can be challenging to look at your situation objectively. A motivational coach will help you assess your current situation so you have a better understanding of how you can move forward. Setting clear goals: Why do you want the help of a coach? It’s because you want to accomplish something that you haven’t yet been able to do on your own, or you simply want the expertise of someone who’s already achieved success in their own life. Your coach will teach you the best possible goal-setting strategies, so you’re focused on your ultimate outcome instead of short-term fulfillment. Creating an action plan: Your coach will create a personalized action plan for you and your goals, so you have the biggest shot at success. They’ll fill you in on the strategies and tools you need to achieve your ultimate outcome, and they’ll provide insight along the way if you begin to feel unsure of your path. Tracking progress: Achieving goals isn’t as simple as creating a plan, you also need to manage your progress. Your coach will hold you accountable along the way, helping you to see your progress more clearly. Additionally, if you find something isn’t working, you’ll work alongside your coach to modify your plan. 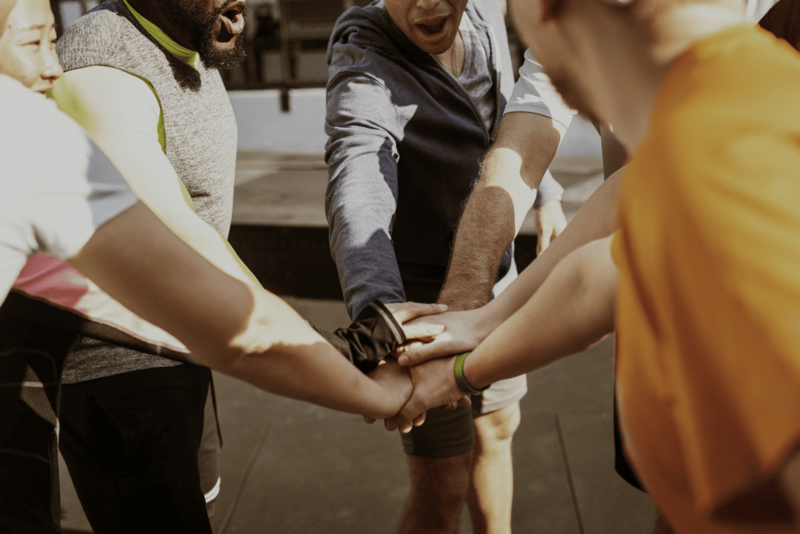 Enlisting the services of a motivational coach doesn’t mean you’re incapable of accomplishing your goals on your own – it simply means you’d benefit from having some extra support along the way. Many of the world’s most successful business people, athletes and entrepreneurs rely on the help of coaches. Whether you’re trying to reach a big goal, like becoming the CEO of a company or trying to modify your everyday routine by being more present for your family and friends, a coach can help you to meet, and even exceed, your goals. Ready to make a major change? Tony Robbins Results Coaches receive hundreds of hours of training each year and are well-versed in the same strategies Tony himself uses to sustain success. Your Results Coach will help you create a clear plan to work toward achieving your goal and offer objective advice along the way. Working with a Results Coach is the most effective way to make massive progress in your life. Whether you’re in the process of undergoing a major life transformation or just need someone to turn to when it comes to the little everyday decisions that can make your life richer, a Results Coach will help guide you. After working with a coach, you’ll have the knowledge and proven strategies you need to continue down your personal path to success. Empower yourself today and schedule an introductory session with a Tony Robbins Results Coach. After my strategy session, in fourteen days we did $2.9 million is sales and before that, we had made nothing with business we started. "Coaching is the difference-maker for my business." He was so good at catching me in the lies I told myself…this year I will be doubling my income. Give it a try – It will absolutely change your life!